Most of the people I know, including myself, were hitting the online sales last weekend and into this past week. It was a great opportunity to knock-out about eighty percent of our Christmas shopping without breaking the bank. There are several book lovers in our family, and, while I love to give the gift of books, sometimes I wonder if they'd enjoy the surprise of something that wasn't a gift card or book on their list. 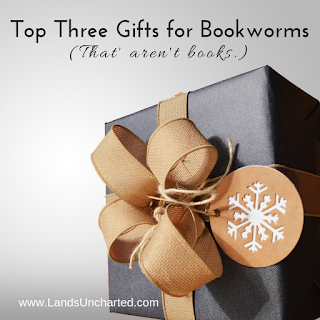 But what else do you get a bookworm? 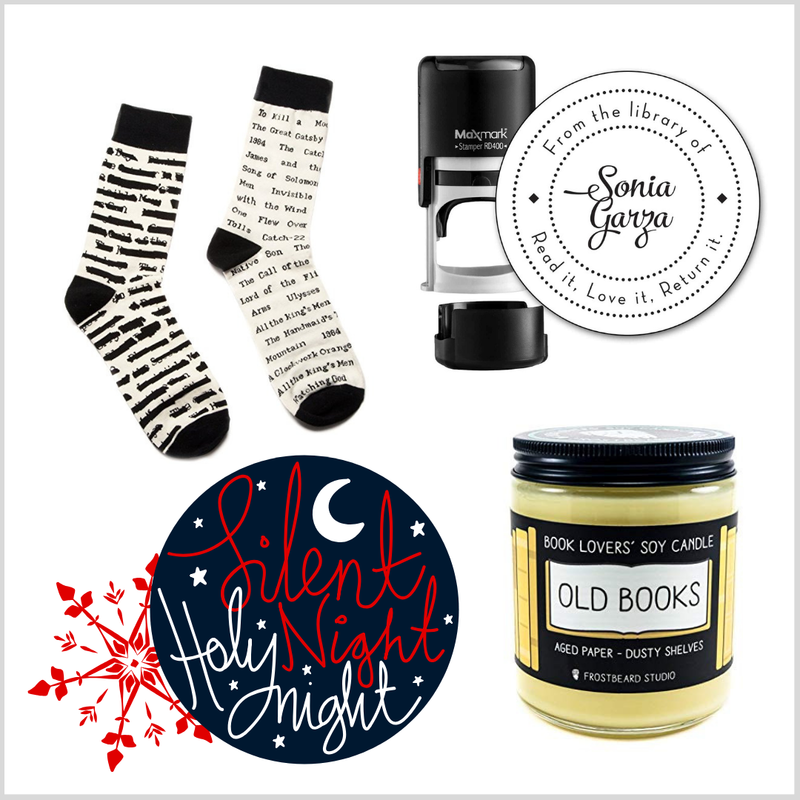 Book Themed Socks - Socks are often looped in with less than desirable gifts, but they don't have to be unwanted. Literary-themed socks are both fun and practical, and they come in a variety of styles. Book Lovers' Soy Candle - Reading experience is not limited to the book itself. The ambiance of an environment is also a factor. How about the smell of a bookstore or library without leaving home? Do you have any bookish gift suggestions? What great ideas, KaLyn! Crazy socks are very popular now, and it would be fun to have my own stamp! Thanks, Lizzie! So many great options out there, it was tough not to share them all. Love the idea of a custom stamp!